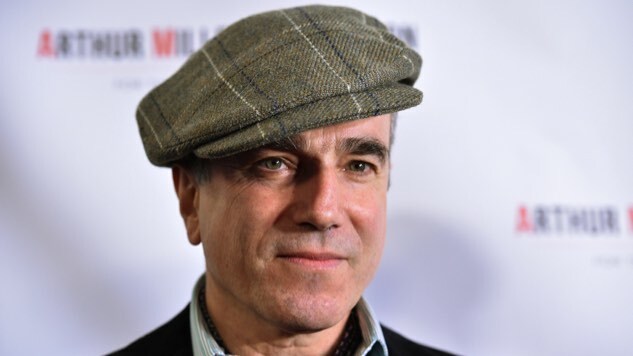 Daniel Day-Lewis will no longer be working as an actor. He is immensely grateful to all of his collaborators and audiences over the many years. This is a private decision and neither he nor his representatives will make any further comment on this subject. That last part has proven untrue: Day-Lewis has indeed made further comment on this subject, confirming and discussing in detail his retirement in a new interview with W Magazine. Before making [Phantom Thread], I didn’t know I was going to stop acting. I do know that Paul and I laughed a lot before we made the movie. And then we stopped laughing because we were both overwhelmed by a sense of sadness. That took us by surprise: We didn’t realize what we had given birth to. It was hard to live with. And still is. Though Day-Lewis has seen many of his other films, he has no plans to see Phantom Thread. Clearly, if Anderson’s forthcoming fashion drama has anywhere near the emotional impact on audiences that it had on Day-Lewis, we are in for an unforgettable film. Day-Lewis won an Oscar for his previous collaboration with Anderson, the superlative There Will Be Blood. I knew it was uncharacteristic to put out a statement. But I did want to draw a line. I didn’t want to get sucked back into another project. All my life, I’ve mouthed off about how I should stop acting, and I don’t know why it was different this time, but the impulse to quit took root in me, and that became a compulsion. It was something I had to do. Do I feel better? Not yet. I have great sadness. And that’s the right way to feel. How strange would it be if this was just a gleeful step into a brand-new life. I’ve been interested in acting since I was 12 years old, and back then, everything other than the theater—that box of light—was cast in shadow. When I began, it was a question of salvation. Now, I want to explore the world in a different way. Phantom Thread opens on Dec. 25. Watch the trailer here.